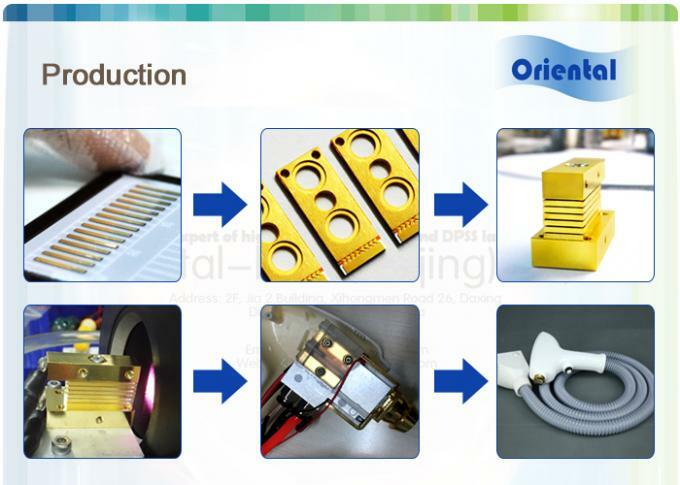 Oriental-Laser (Beijing) Technology Co., Ltd.
Golden series diode laser treatment handle use 400W-1200W micro channel diode laser which imported from Germany, and the spot size was 17mm×10mm and 11mm×11mm optional. The sapphire for skin contact is covered by pure cooper, which is cooled by two pieces of TEC cooling chip. Treatment will be comfortable and safe. 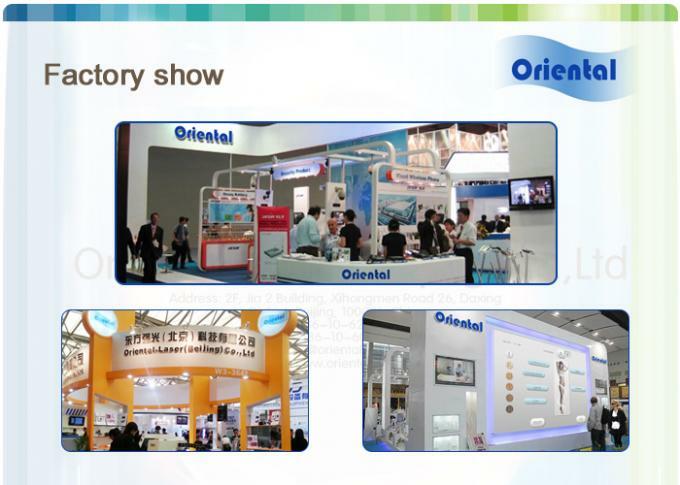 Except standard model, we can offer many kinds customized OEM service. 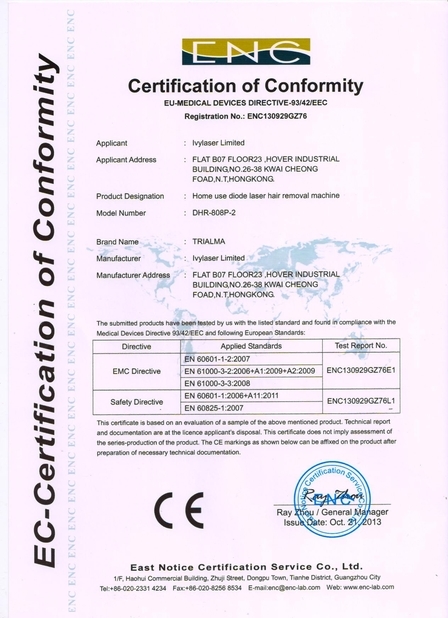 PS:In addition to the standard code, the number of laser chip can be customized by client. The number of laser chip is 3-30pieces optional. 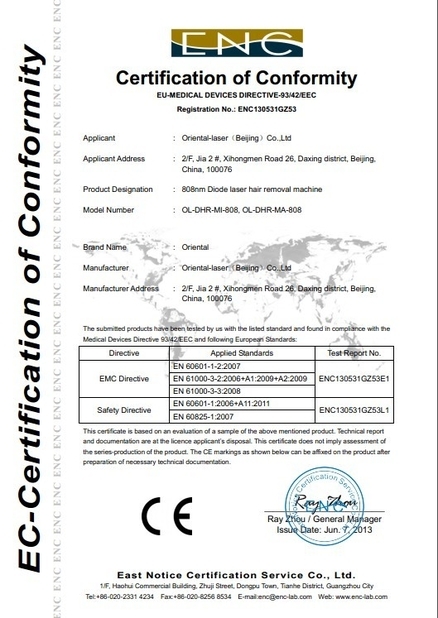 1.Diode laser action in dermal tissue collagen cells and connective tissue, induce the synthesis of new collagen cells and extra-cellular matrix, without interfering with or damaging the epidermis, improve wrinkles, scars and pits elastic tissue degeneration and other issues. 2. 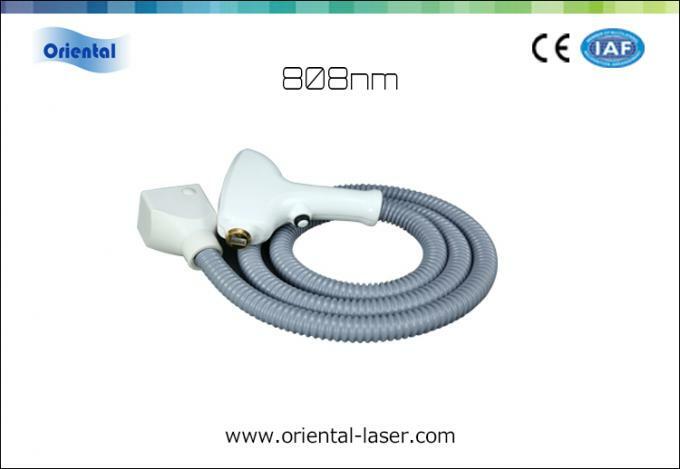 At the same time promoting the dermal collagen and connective tissue structural changes, the diode laser also choose the role of melanin in dermal tissue and blood vessels to make them thermal decomposition,also dermal and epidermal pigmentation reduction, reducing telangiectasia to improve overall skin texture more smooth and gloss. Concerned with improving the problems are: photo-aging, age spots, redness, skin bleak, filled with shape-related vascular and pigmented erythema and rosacea and other issues. 3. Permanent hair removal. 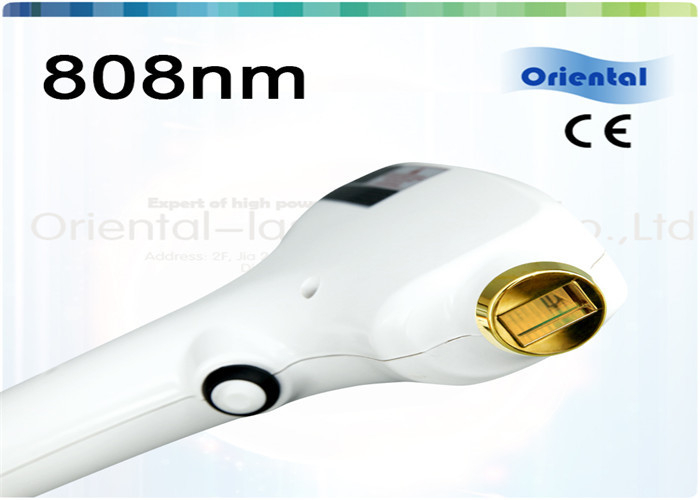 Moderate laser beam penetrates the epidermis and selectively makes action on the hair follicle cells to stop growing, so as to achieve the effect of the permanent eliminate unwanted hair. Copyright © 2015 - 2019 laserhairremovingmachine.com. All rights reserved.